How many rebirths can one man have? So much of football is a matter of perspective, but Viktor Goncharenko must be pondering that very question as he stages his latest renaissance. 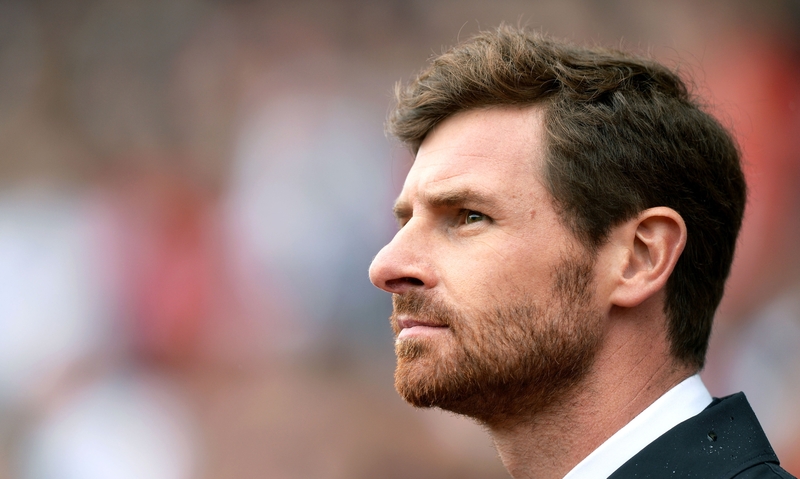 At a brief glance, his recent managerial career might lead one to think he is out of his depth and destined to be forgotten, but as he embarks on his fifth job with four different clubs in three-and-a-half years, it could also be said he has arrived where he belongs. While his CV has a rather tattered feel to it during his time in Russia, his arrival there at all owes everything to his quite spectacular birth as a managerial mastermind. A mobile defender who stood just five foot six inches tall, he only managed four full seasons for his club Bate Borisov despite becoming an under-21 international. His playing career was cut short in 2002 without ever fully taking off following a serious knee ligament injury at the age of 25, and he could have been forgiven for deserting the sport. Not a bit of it. Goncharenko immediately switched his focus to coaching with the club’s reserve side, with whom he achieved considerable success – three years after taking charge, he led them to the first of two consecutive runners-up places in their division, which caught the attention of the club’s hierarchy. Asked to step in while first team manager Igor Kriushenko – who had trodden the same path from BATE reserves to the first team two years after Goncharenko’s knee injury – was sidelined with health problems, he promptly guided the side to maximum points from three matches. His positive start to life in the hot seat was no fluke. Even as a youth player, Goncharenko was astute in his development and realised he needed to give himself every advantage he could to get ahead. Meeting future AC Milan forward Vitaliy Kutuzov, Yuriy Zhevnov and ex-Barcelona and Arsenal playmaker Aleksandr Hleb, he travelled from his native Khoiniki as teenager to the Belarusian capital Minsk, where he attended the prestigious Republican State School of Olympic Reserve. This all-encompassing institution developed the finest athletes in the country in over 30 different sports and boasts an incredible three-quarters of all graduates going on to represent Belarus at either full or representative level. The humility to learn was a trait that had long marked Goncharenko’s life. He enrolled at a local football school at the age of nine – almost the same age that Gareth Bale began his formal training at Southampton – but what should have been a joyous period of his life was overshadowed by the worst tragedy to hit the region in recent memory. The effects of the Chernobyl nuclear disaster are still being felt today over three decades later, as former engineering towns are still hauntingly deserted, but the short-term effects scarred the young boy just as he was taking his formative footballing steps. Despite the disaster occurring on Ukrainian soil, villages such as Khoiniki on the Belarus border suffered horrifically; in fact, a quarter of the country was estimated to have been reached by the nuclear fallout, an area even greater than the Ukrainian land affected. Soviet communiques were misleading in the first 48 hours, at first assuring residents that it was advisable to stay calm and remain, but on the third day the truth became apparent; for some, the delay in accurate information would prove to be fatal, and among those who perished due to the effects of radiation were Hleb’s and Goncharenko’s fathers. It was not until 1993 when young Viktor’s father passed away with the younger man still in his mid-teens, a critical age for his development not only as a player but also as a person, that his strength of resolve and determination to forge his own career path was heightened. Instead of crumbling under the pressure, he decided to plot his path to the capital, which would eventually lead to what should have been the start of a fruitful playing career. While Goncharenko was building a new beginning in his personal and professional lives in Minsk while learning from the finest coaches his country had to offer, the Borisov Automobile and Tractor Electronics’ factory-sponsored club was reformed more than a decade after having been disbanded. BATE, who had won three Belarus championships in the 1970s, quickly began regaining their former strength as back-to-back promotions saw them return to the top flight in time for the 21-year-old’s first team debut. In the subsequent 18 season up to the present day, they have only finished outside the top two places twice, and have been crowned national champions 11 seasons in a row. Six of those titles arrived in each year of Goncharenko’s first reign as a manager – a quite remarkable feat that will surely never be repeated, and certainly not by someone as young as he was. Breaking records began to be a trademark of the rising star of Belarus football management; at just 31 years of age, he became the youngest man to manage a side in the Champions League group stages, simultaneously becoming the first coach to qualify a Belarus club to the top table of European football. Not content with that impressive achievement, draws home and away against Turin giants Juventus showed how BATE were not content to just make up the numbers. In his last season in his homeland, home wins over Bayern Munich and Lille helped earn passage to the Europa League knockout round of 32, where a single goal over two legs edged seasoned continental campaigners Fenerbahçe past the stubborn minnows. By this stage, his ability to eke out the most resilient consistency from meagre resources was well-established, and his move to a grander stage finally arrived. Kuban Krasnodar came calling in 2013 with the express aim of pushing on for regular European qualification, having only spent five of the previous 20 seasons in the top flight. To this aim, investment was made in the transfer market with full internationals such as Djibril Cissé and Lorenzo Melgarejo arriving. Despite guiding Kuban to mid-table safety in his first season having joined just before the winter break, and starting his second season with a nine-match unbeaten run leaving the side level on points with third-placed Terek Grozny, he was relieved of his duties at the end of 2014. 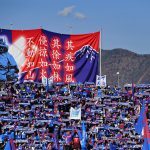 Officially, the reason given by the club was the lack of discipline of the players and the loss of key players, while it was clear Armenian billionaire investor Oleg Mkrtchan was struggling to continue funding the club when he was forced to cut ties with another footballing investment of his, Metalurh Donetsk. Either way, Goncharenko’s big break had turned sour rather quickly and he was forced to learn the hard way about the altogether different pressures of the Russian Football Premier League. In Borisov he had been allowed to continue the development of the side in his own image unhindered by the industrial owners. His track record saw to it that he was almost untouchable, but more importantly he was trusted, and his philosophy of not being beaten by preparing meticulously had permeated his squad, which included Hleb as the veteran orchestrator in his final campaign. His reputation in Russia remained more or less intact – Kuban had built a reputation for hiring and firing at an alarming rate, with seven different managers in five years prior to the Belarusian – and a second chance to prove himself in Russia was inevitable. A calm, measured mind like Goncharenko was in no rush to jump straight back into the frying pan without waiting for what he believed to be the right opportunity, and he bade his time until the following summer. At first glance, Ural Sverdlovsk Oblast and Goncharenko were an ideal match. Ural had never been a powerhouse of Russian football, and had survived by the finest of margins the previous season, squeezing into the relegation playoff places on the last day of the season thanks to a miraculous 3-1 win away to Terek – a result that would have enormous consequences regarding Goncharenko’s career path in more ways than one. With Ekaterinburg due to be a host city for the 2018 World Cup, Ural were set to move into a completely rebuilt stadium within a couple of seasons, while one of the finest indoor training facilities outside Moscow had recently opened next to the former training ground that had been converted into the temporary home for the club. With a small budget but first-rate facilities, tucked away far from the maddening crowd of Moscow or Krasnodar, Goncharenko believed he had found a calmer atmosphere to once again resurrect his life. As fate would have it, Ural’s first fixture took him back to his previous employers. Although they lacked the spending power they had previously enjoyed, the hosts had reinforced with the high-profile signings of Russian internationals Andrey Arshavin and Roman Pavlyuchenko to leave them far stronger than Ural. Add in the extra tension surely playing on their returning manager’s mind and they were expected to dominate their visitors. In a masterstroke of defensive organisation, however, Goncharenko’s new charges snatched a late 2-0 win to kick-start his new chapter on the European-Asian border with a surge of optimism. It didn’t last. His first match at home was against André Villas-Boas’ almighty Zenit side, and the gulf in class was too formidable as Ural crashed to a 4-1 defeat; no shame in one sense, but a harsh reality check. Away draws to fellow bottom half teams Mordovia and Anzhi and a defeat to Dinamo Moscow left Ural just above the relegation places with five points from six matches, and on the surface at least he was battling to keep the faith that had been shown him upon his appointment. Then Terek came to town. Russia has a strange relationship with gambling. It is not inherently in the national psyche having been outlawed throughout almost the entire existence of the Soviet Union, and although there was a mad rush to embrace it once the gates to Russia opened in the 1990s – at one point there were over 60,000 slot machines in Moscow alone – a flirtation with establishing a ‘Las Vegas of the East’ in Siberia soon fizzled out. Casinos were banned a decade or so ago, along with all forms of betting just a few years ago, but now bookmakers are not a completely uncommon sight on high streets, with the second tier Football National League now actually sponsored by Russian bookmakers Fonbet. Sitting two places below Ural going into the game, Terek were not realistically a major threat, but odds suddenly spiked in favour of an away win. To add to the drama, Goncharenko had gone AWOL, with media in his native Belarus reporting that he has returned to Minsk and had met with the Managing Director of his first club, BATE. Ural denied he was ready to quit, but one thing was certain: he was not in Ekaterinburg, with strong suggestions swirling that he had taken a principled stance in refusing to be involved in a form of match-fixing. The bizarre fluctuation in the price for a Terek win was quickly picked up by local media on the day of the game, until at kick-off all talk had been diverted away from Goncharenko’s disappearance and firmly onto the actions of both sets of players. Worryingly, Terek took a 3-1 lead, only to be denied by an 85th-minute winner from Ural’s Alexander Erokhin. The unpleasant whiff of skulduggery hung menacingly in the air. Memories of the previous season’s critical 3-1 win away in Grozny in the last meeting between the two sides couldn’t be ignored, but not necessarily due to the direct influence of money. The practice of dogovornyi igra (literally ‘friendly match’, or arranged match) was common in Soviet football, whereby one team would allow their opposition a result they needed in return for the same favour next time they met. Valeriy Lobanovskyi famously employed this simple if immoral practice to great effect with Dynamo Kyiv until the Soviet League capped points that could be gained from draws at 10 for the season. The fact that Goncharenko appeared to want nothing to do with the match in question points to a strong moral compass. Days later his departure was confirmed, and once again he was left with the task of rebuilding himself. Where could he go next? 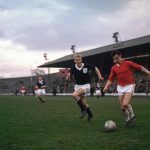 He was beginning to appear to be damaged goods with his ability to attract controversy – be it consciously or not – and despite his early promise he had yet to prove himself outside his comfortable first position in a relatively weak domestic league. His insatiable appetite for learning kicked in as an opportunity arose at CSKA Moscow. Legendary modern coach Leonid Slutskiy had been juggling the national team job with his role at CSKA, and it was clear that sooner rather than later he would have to decide between club and country, so he was expected to name a potential successor. Goncharenko was looking for a short spell out of the limelight, Slutskiy needed an assistant, preferably a young coach with fresh ideas; within a fortnight, both were satisfied. Serving as an apprentice having already won multiple titles would seem an anathema to most, but not to Goncharenko. Watching first hand the inner workings of the reigning league champions and their hugely successful manager was a dream for the him, but within three months he had taken up a position with Russian football’s newest top flight club, Ufa. Star player Oleksandr Zinchenko had been sold to Manchester City, so some investment was expected, but it failed to materialise in significance. 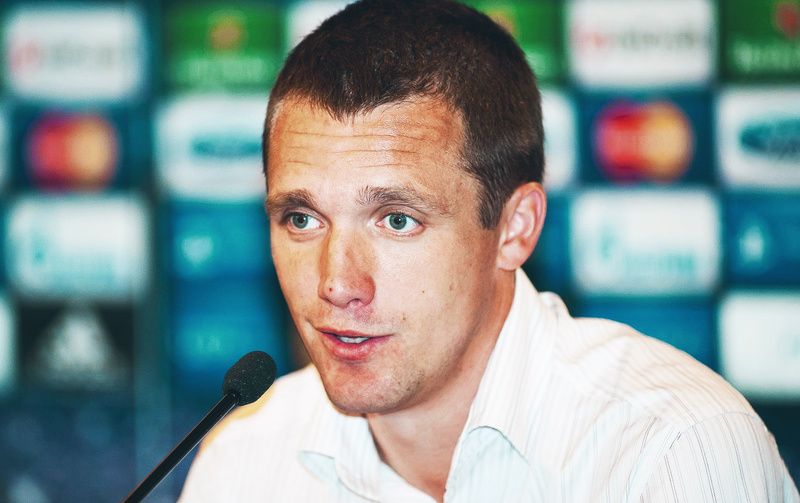 It was while in charge of Ufa that Goncharenko showed his tactical versatility. A three-man defence was the cornerstone of his plan, with on-loan CSKA defender Viktor Vasin his rock. Vasin even showed such form that he was called into the Russian national team squad. His new manager’s first match in charge? Away to Ural. Previous assistant Vadim Skripchenko took over on a permanent basis, and completely outclassed his former mentor on the day. After that, though, he helped lift the unfashionable Bashkortastan outfit to a highest placement yet. Despite moderate support in the transfer market, it still wasn’t enough to slake Goncharenko’s lust for self-improvement, nor to ignore the relationships he had already worked with at CSKA. Slutskiy decided he would take a break from the game once the three-month winter transfer window was closed, leaving a gaping big hole for someone to fix. In what was the worst-kept secret in Russian football, Goncharenko was appointed as permanent manager, and once again was looking for redemption. Although CSKA owner Evgeniy Giner is notoriously reluctant to splash his considerable wealth around, a stunning new state-of-the-art stadium and experienced league champions in his squad to call upon makes this latest attempt to start over more appealing. Some outstanding young managerial prospects have the distinguishing trademark of arrogant confidence or psychological dexterity, but not Viktor Goncharenko. His unswerving conviction of character and meticulous preparation, forged from earning the respect of players older than him in his debut role as a head coach, marks him out as a mastermind of the future. His unique identity as a coach is his deep desire to never stop learning. Although he is still extremely young for a manager, at just 39, and enjoyed an unusually comfortable run of success right from the start, he already has 13 years’ senior management experience and has had to deal with multiple setbacks already. A weaker man might have crumbled in the face of his personal or professional adversity; Goncharenko has simply learned how to rise again.